This safety notice only applies to the first LIGHTNESS 3s which were delivered in 2018. 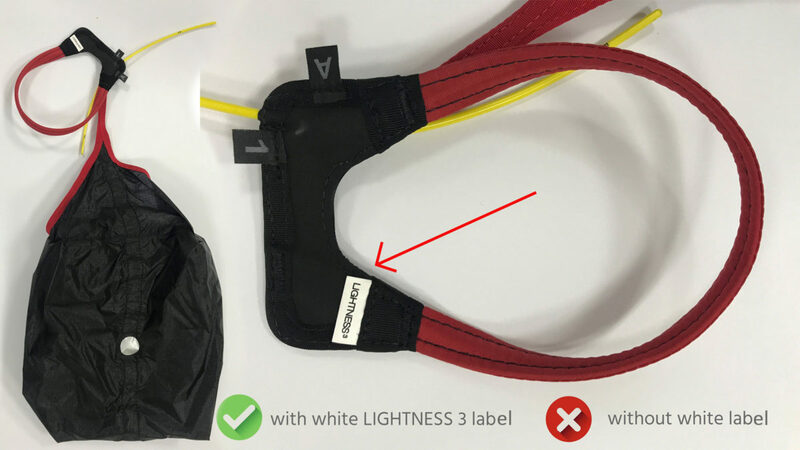 If your LIGHTNESS 3 has a white label which says “LIGHTNESS 3” on the base of the reserve handle your harness is not affected by this announcement. 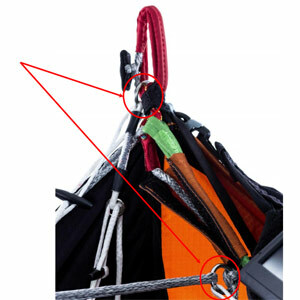 To check this you only have to carefully ease the handle base a little way out of its pocket on the harness. 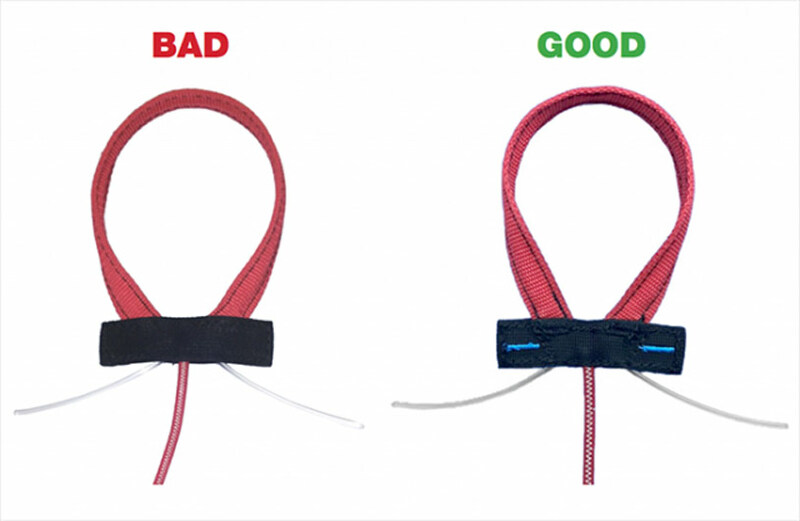 If you have an ALTIRANDO harness from Supair, please take note! 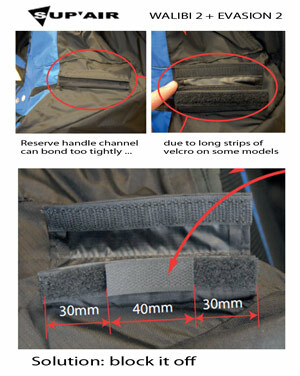 Two safety issues have been identified relating to the reserve parachute rotating inside its pocket and possible damage to the reserve pocket. Concerning all Ozium 2 harnesses manufactured during 2017 and early 2018 (for harnesses delivered after March 2018, no further action is required). There’s a potential problem with the reserve deployment system. 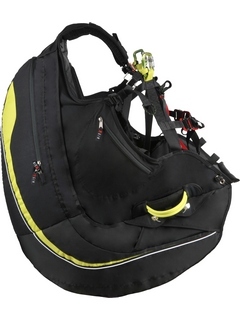 The reserve bridles connect the parachute to the shoulder attachment points and are routed within a self-opening zip compartment on the right hand side of the harness. 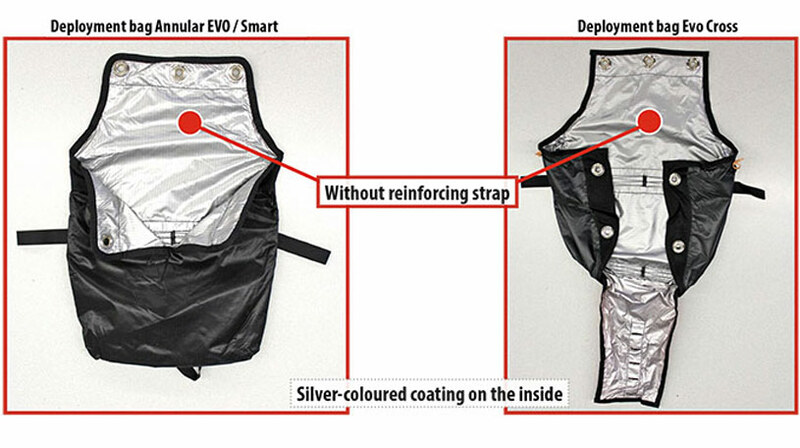 At the seam-line of the isolated upper loop which is used to attach the deployment handle, a perforation could possibly cause a material weakening of factory delivered deployment bags. Please check immediately whether your deployment bag is part of the concerned production lots. The affected deployment bags can be distinguished either by the year of manufacture (earliest 6/2016 – see table in PDF) or their serial number. The connection between the V-lines and the reserve on all EASINESS and EASINESS 2 reversible harnesses must be changed at the next opportunity. A replacement connection line can be obtained from ADVANCE free of charge from Advance. A routine spot check has revealed that the connection may not be strong enough. 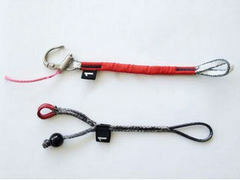 Other harnesses conform to their specifications and are not affected. A pilot reported that the seam of the webbed strap that connects the brake pulley to the riser tore during ground handling his Skywalk Mescal5. The seam may not be strong enough if it was sewn with too few stitches. This can reduce the breaking load to approx. 35 kg. This is adequate for flying, but may not be enough for ground handling in strong conditions and large deflection angles. The faulty assembly of a Quick-Out carabiner led to its accidental opening. The pilot had dismounted both of the Quick-Out's release buttons and later re-installed them in swapped positions. Swapping the release buttons is dangerous! 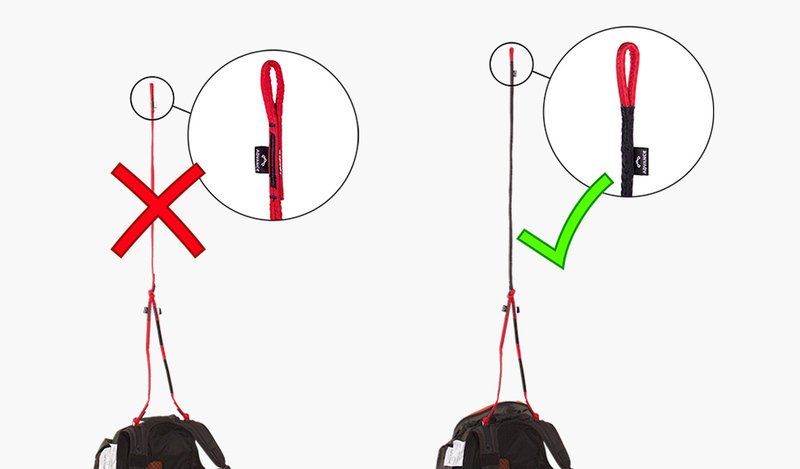 In the instruction manual, the manufacturer points out that the release button located on the opposite side of the installation slot must not be dismounted when attaching the carabiner to the harness. Concerning the first production Forza harnesses manufactured in 2015 with the serial numbers: Forza-(size)-Q-31A-(???) to Forza-(size)-Q-49E-(???). 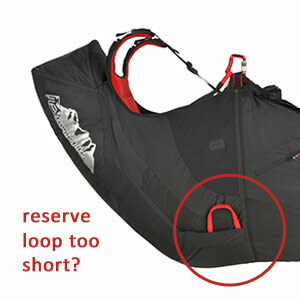 There have been several cases of a reserve loop failure on the Forza harness. In all cases, one of the loops holding the reserve pin failed completely. There have also been some reported failures of loops that had previously passed the safety notice checks at 15kgs. To rectify this, Gin have produced a loop extender (13cm). 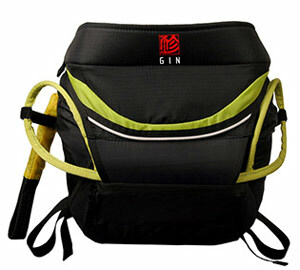 All current GIN stock has the loop extender included with the harness. Previously shipped harnesses did not come with this loop. If you require the loop extender, please contact your GIN distributor. Sup'Air: "Unexpected releases/openings of the aluminium self-locking chest strap buckle in flight were noticed on some SUP'AIR harnesses." 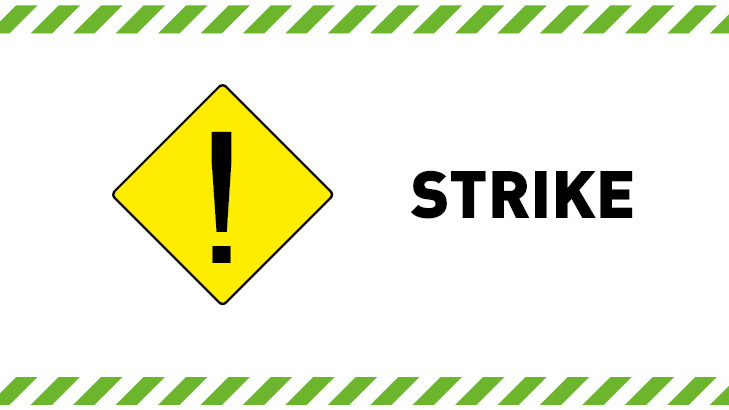 Download the safety notice for more info. 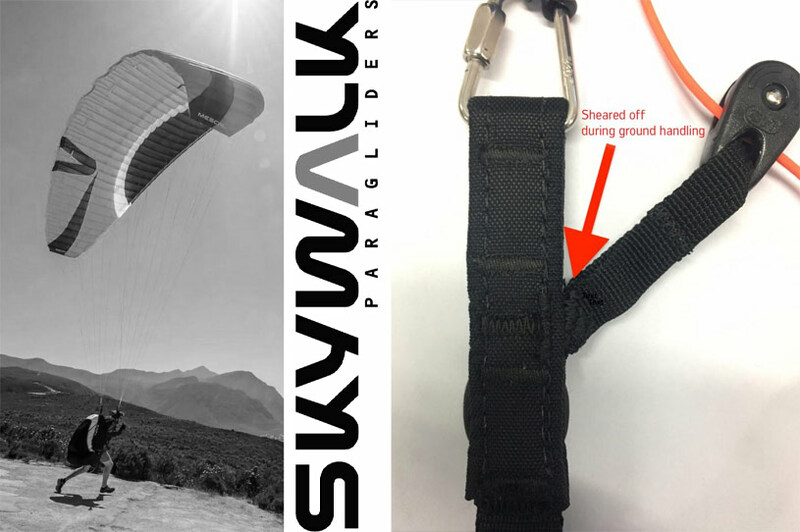 On 4th June 2016 German manufacturer Finsterwalder, who supply buckles to many paragliding, paramotoring and hang gliding harness manufacturers, issued an important safety notice for all harnesses equipped with their CLICK-LOCK and T-LOCK buckles, potentially rendering them unairworthy. 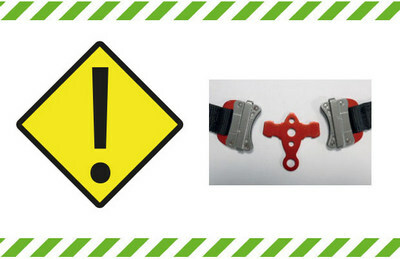 If these buckles are more than four years old then there is a risk of accidental opening, therefore any harness equipped with them should not be flown. 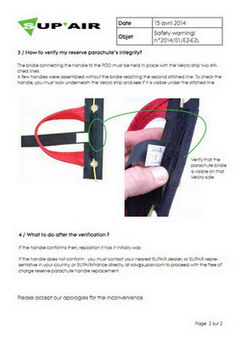 Finsterwalder say that thousands of harnesses from many manufacturers are affected. A few handles have been found to have insufficient stitching which could result in the handle tearing during use, so Gin Gliders are recalling the entire production batch to ensure that the safety of pilots is guaranteed. 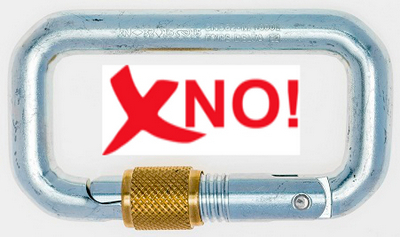 If you bought one from us after June 2014, contact us for a replacement rescue handle (free of charge). 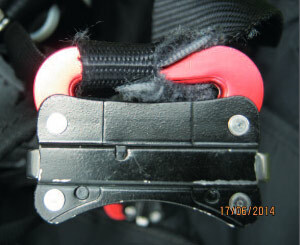 A pilot reported that the main rescue bridle failed at the shoulder connection points following a rescue parachute deployment on a Gin Genie Race 3 harness. 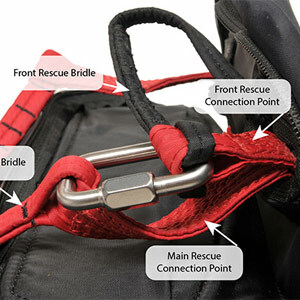 Although the harnesses exceed the certification minima, Gin Gliders recommends connecting each main rescue bridle to the front rescue bridle connection point for added safety. There is a potential problem on the forged rings of the Kolibri harness, which may break under load. The ring is not used in the main structure of the harness, it supports the lumbar and pelvic setting only. For more details and serial numbers concerned, see the full safety notice. Sup'Air have issued a safety notice regarding extraction problems for the rescue handle. Although it relates to their EVASION² and WALIBI² tandem harnesses, it's worth considering the recommended solution if you have long hook and loop fastener strips on your reserve handle system. Simply blocking off some of the excess hook and loop fastener reduces the gripping force and prevents it from becoming a problem. The bonding can also be overcome by removing the reserve handle and replacing it gently during every Daily Equipment Inspection. Download the full safety notice here. Kortel have informed us of potential quality problems on some of their reserve handles. For more details, see here. Skywalk have issued an urgent safety notice regarding all sizes of their ultra-lightweight paraglider, MASALA2. When reverse launching a Skywalk Masala 2, a pilot had the rear riser (C / D) tear at the stitching with the B-riser. The pilot managed to abort take-off, and was unhurt. Skywalk's investigation with the DHV has found that if enough force is applied in the opposing direction to normal flight then failure could occur. All Skywalk MASALA2s must be checked by the manufacturer and must not be flown before then. For more information, see the original safety notice in German here. Download the safety notice in English here. For the safety of all customers AustriAlpin has issued an immediate voluntary recall of all AustriAlpin DELTA carabiners. 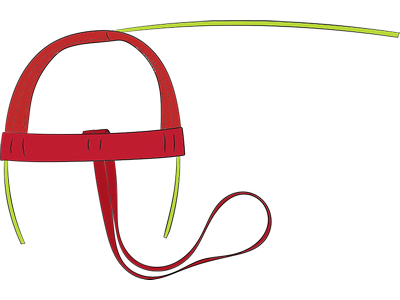 If you own one of these carabiners then you must stop using it immediately! Please read this notice carefully and follow the instructions. SUP’AIR SAFETY NOTICE: CHECK YOUR BUCKLES! 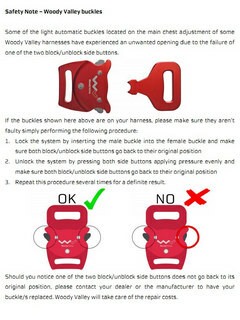 We need to inform you we are experiencing unwanted openings of some of our light automatic buckles located on the main chest strap of our harnesses. For a matter of safety, we decided to write a safety note that will be published by the DHV. There are about 12000 harnesses equipped with this kind of buckle and so far we’ve registered problems only with the "07/13" and "08/13" batches. For the records, "07/13" and "08/13" are the month/year production date engraved on our buckles. Company policy will be exclusively for a prompt and free buckle replacement. We apologise for the inconvenience and we thank you in advance for your precious cooperation in managing this issue as professionally as we can. A few reserve parachute deployment handles on the following Sup'Air harnesses had a manufacturing defect: SKYPPER, EVO XC2, SHAMANE and SHAMANE FR. If you have one of these harnesses then you should download, read and act upon the full safety warning dated 15/04/2014 (see download link below). If you think your reserve handle is one of the defective ones then you should contact the dealer you purchased your harness from to arrange for a replacement. Otherwise you can buy a new reserve handle. Kudos once again to Sup'Air for being proactive about issuing safety notices! Gin Gliders have become aware of that in certain test scenarios, deployment of a rescue parachute can become more difficult than in the static scenario used in the certification process. 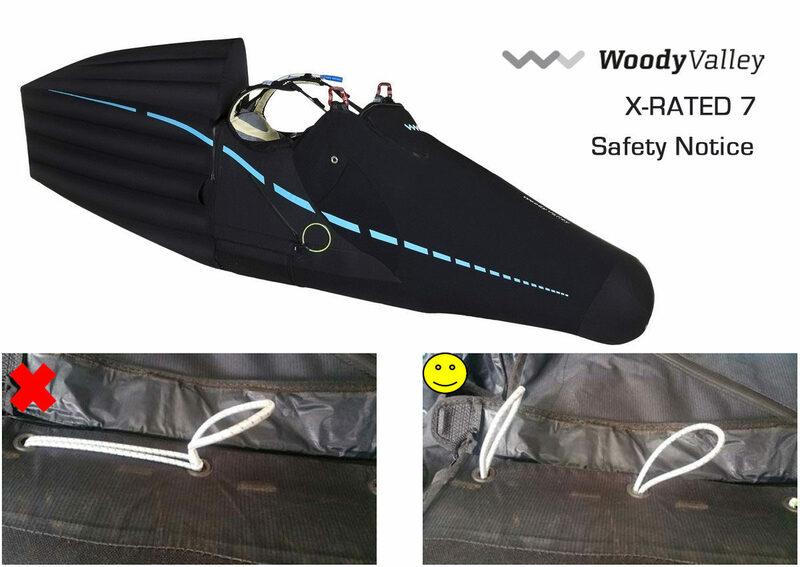 This is especially so with customers using non-Gin Gliders rescues with larger packing volumes.